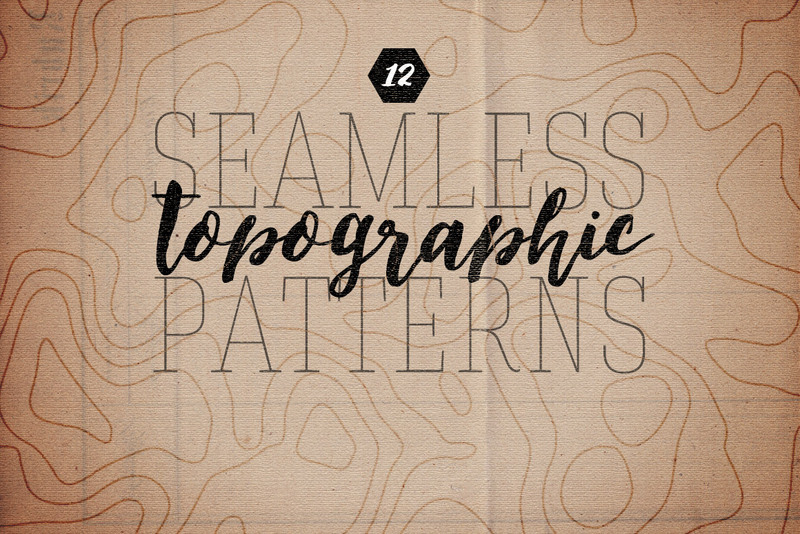 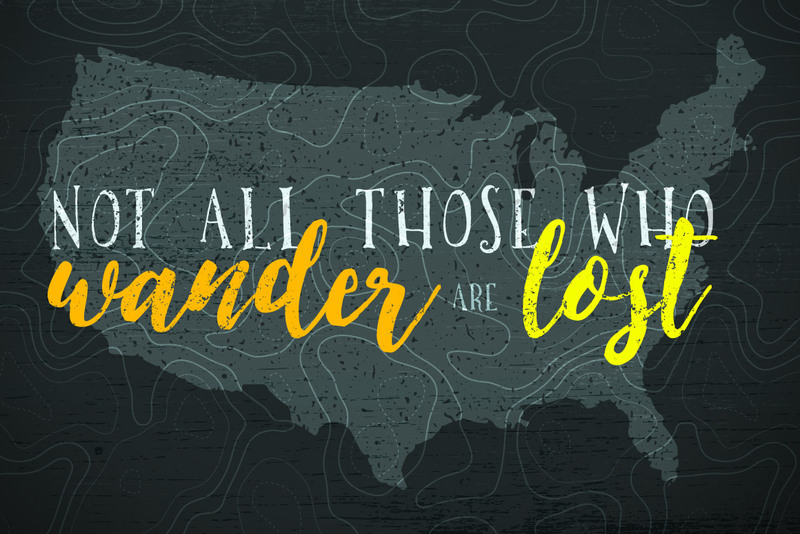 This set features 12 total seamless patterns in the style of topographic maps. 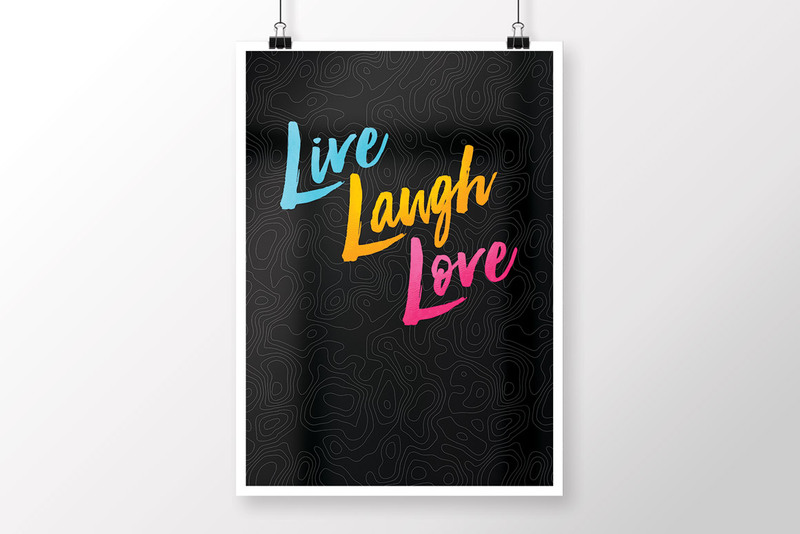 Volume 1 includes files in Photoshop PAT file format, as well as universal PNGs with transparent backgrounds, making them easy to apply on top of any background in any software. 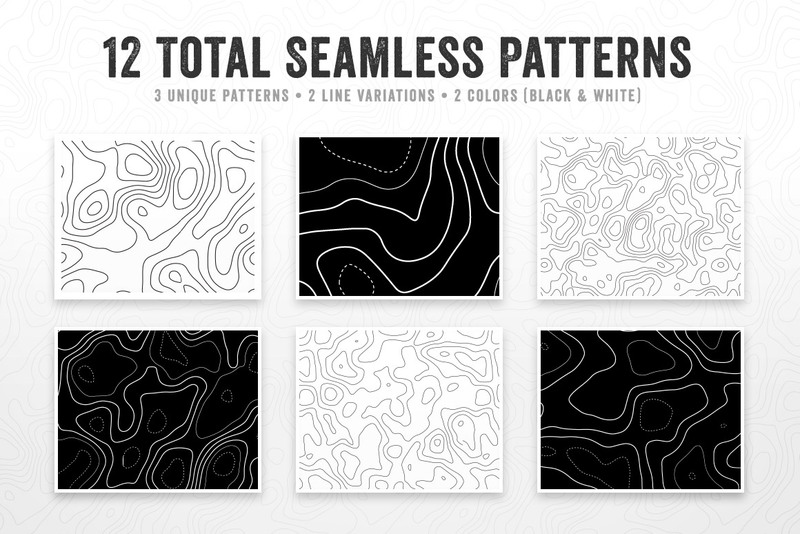 There are 3 unique patterns with 2 line styles in both black and white colors.